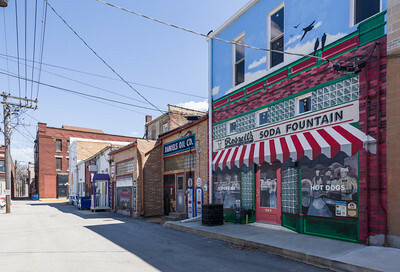 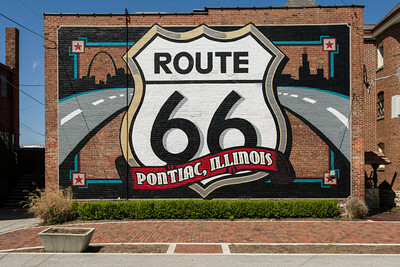 These wall murals adorn buildings in Pontiac, IL which is located along Historic Route 66. 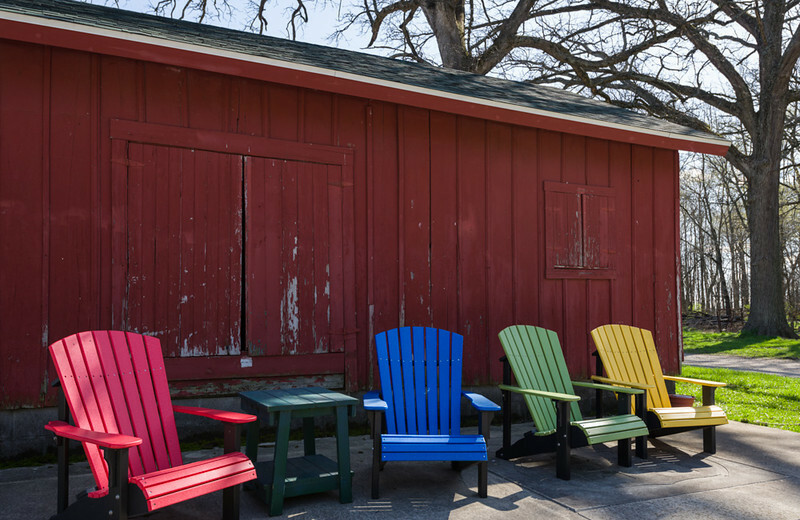 Four colorful Adirondack-style chairs sit in front of an old red wooden building. 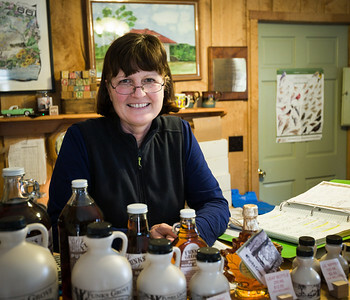 Debby Funk always has a smile for her customers as she makes and sells some of the best maple "sirup" in the country. Debby's company is located in Funk's Grove, IL. 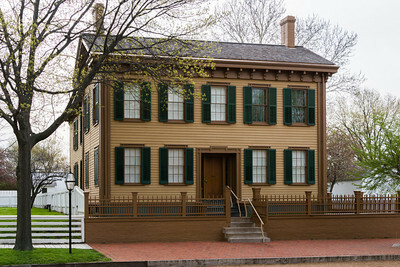 President Abraham Lincoln's Home in Springfield, IL. 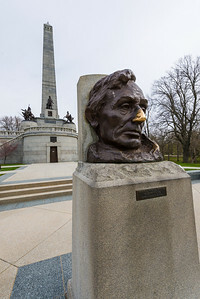 The bronze bust of President Lincoln and his tomb in Springfield, IL. 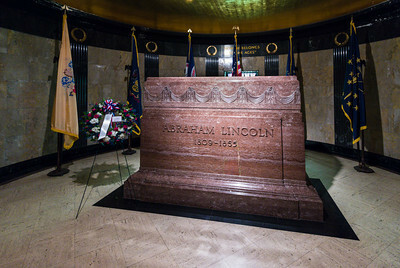 President Abraham Lincoln's sarcophagus inside his tomb complex in Springfield, IL. 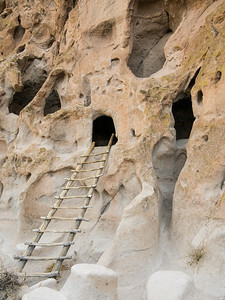 He is buried 10 ft. below this spot. 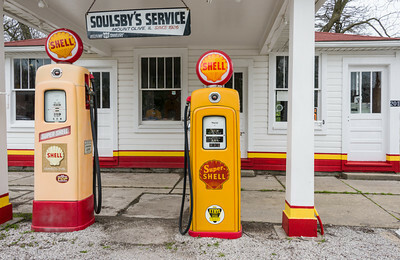 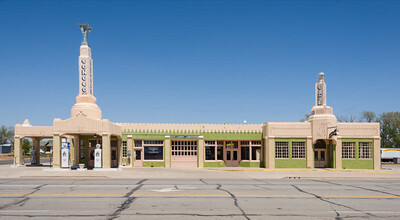 Soulsby's Service Station has been restored to its glory in Mt. 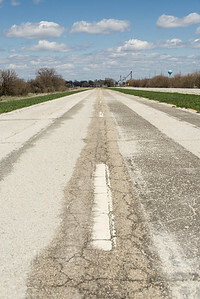 Olive, IL on Historic Route 66. 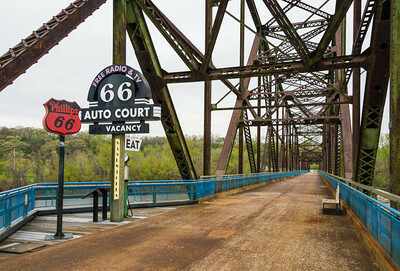 Detail of the Chain of Rocks Bridge, which contained the original Route 66 between Illinois and Missouri near St. Louis. 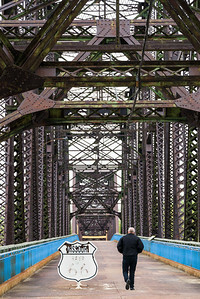 A lone w/m middle-aged, walks east on the Chain of Rocks Bridge over the Mississippi Rive between Illinois and Missouri. 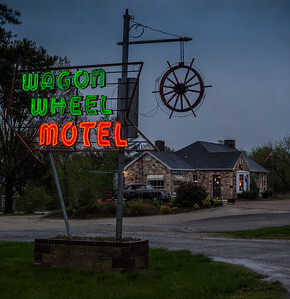 The Wagon Wheel Motel on Historic Route 66 in Cuba, Missouri is the oldest motel in continuous business on Route 66. 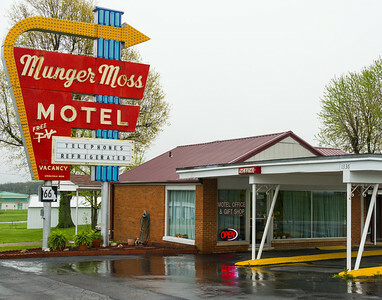 The Munger-Moss Motel on Historic Route 66 in Lebanon, Missouri. 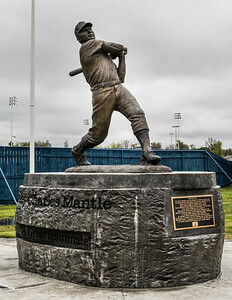 The Mickey Mantle statue, monument and stadium are located in Commerce, Oklahoma, Mantle's hometown along Historic Route 66. 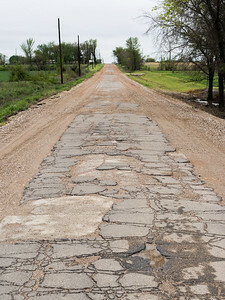 Original 9 Ft. Pavement of Route 66 west of Miami, OK is called "The Sidewalk"
This original 9 ft. wide cement pavement is part of the original Route 66 and is in the countryside just west of Miami, OK. 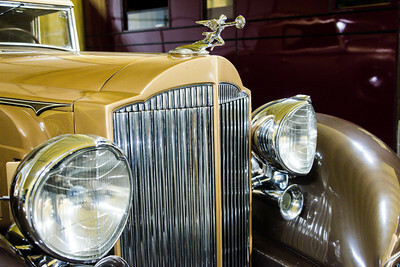 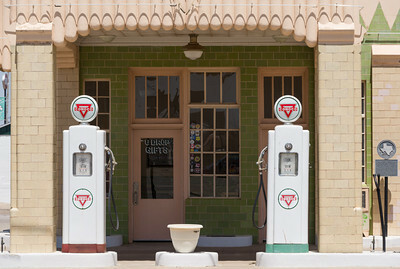 Detail from an antique Packard automobile in Afton, Oklahoma on Historic Route 66. 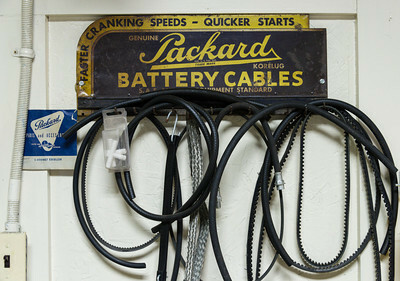 Fan belts, cables and other antique Packard equipment hang on a wall in Afton, Oklahoma On Historic Route 66. 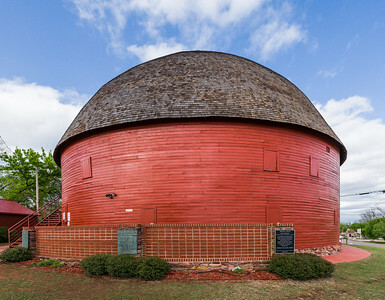 A red, round barn is found along Historic Route 66 in Arcadia, Oklahoma. 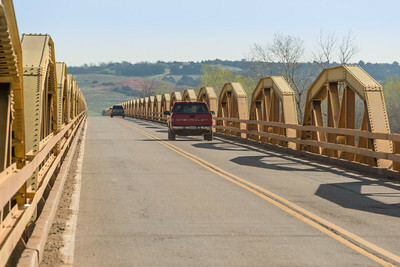 A 38-span, William H. Murray, pony truss bridge is located just west of El Reno, Oklahoma, near old Bridgeport, on Historic Route 66. 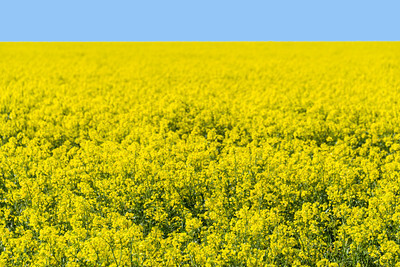 Yellow canola dominates the landscape in this spring scene from the Oklahoma countryside. 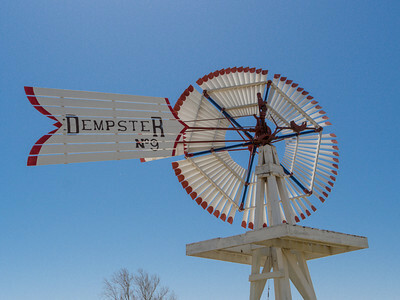 The inside of an historic diner sits on the grounds of the Route 66 Museum in Clinton, OK.
An historic variety of windmills are on display in Clinton, OK. 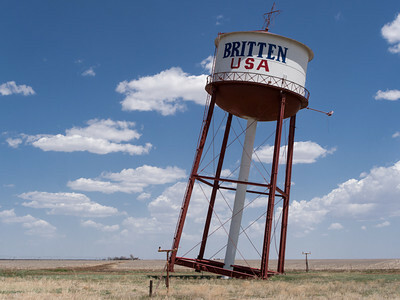 The famous Leaning Water Tower of Groom Texas can be seen next to I-40 and on Historic Route 66. 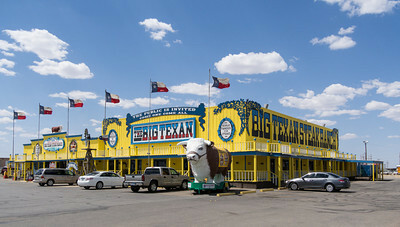 The famous Big Texan restaurant in Amarillo, Texas serves up 72 oz. 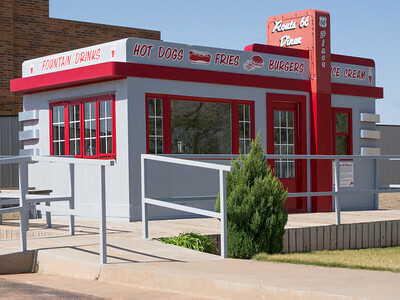 steaks for free if you can eat it within an hour along Historic Route 66. 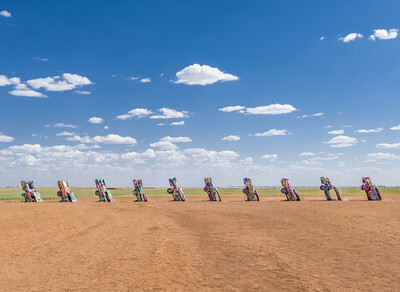 The Cadillac Ranch can been seen just west of Amarillo Texas. 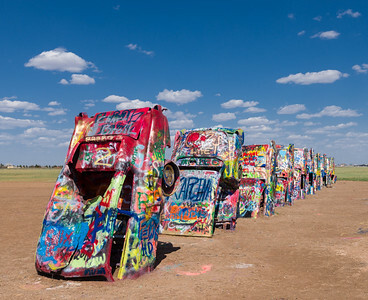 The owner encourages painting the planted Cadillacs with paint and for individuals to express themselves. 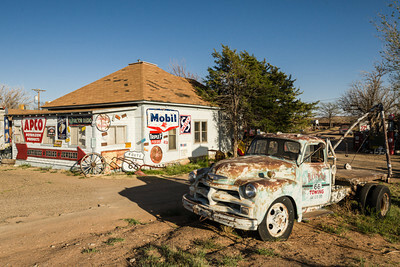 Various trucks, signs, antique gas pumps and much other memoribilia are scattered across the grounds of the Tucumcari Trading Post in Tucumcari, NM. 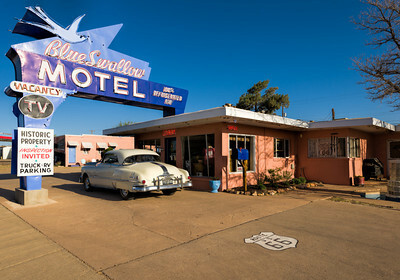 The blues of the sky and sign accent the old and historic Blue Swallow Motel in Tucumcari, NM. 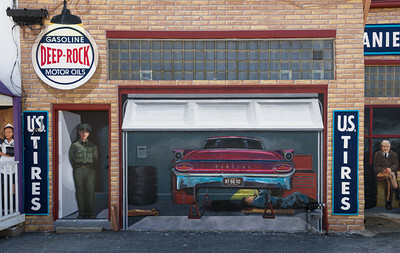 Each room at the motel has an automobile garage next to it. 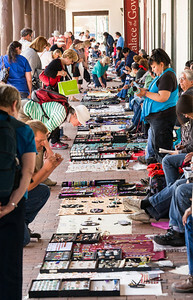 Native American artists seel their wares from blankets just off the main square in Santa Fe, NM. 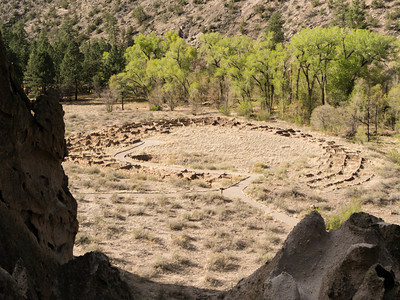 Native American ruins or cave homes, kivas, adobe walls and wall art, dot the canyon in Bandalero National Monument in NM. 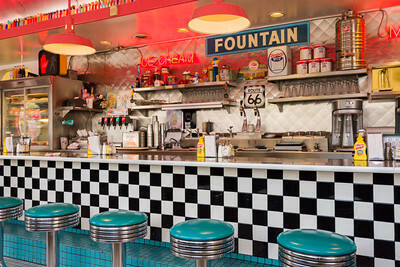 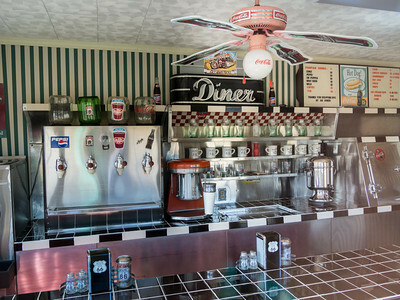 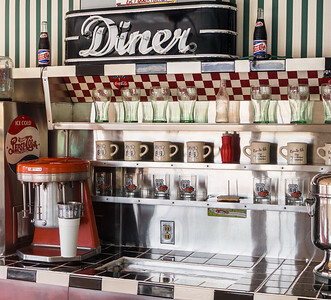 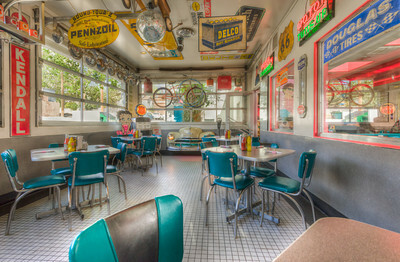 Interior details of the Route 66 Cafe in Albuquerque, NM. 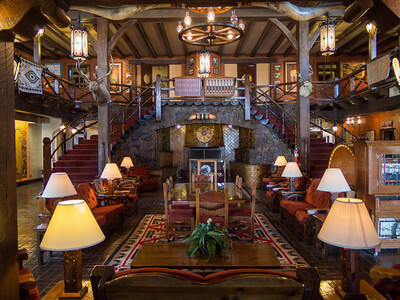 Interior details of the historic El Rancho Hotel in Gallup, NM. 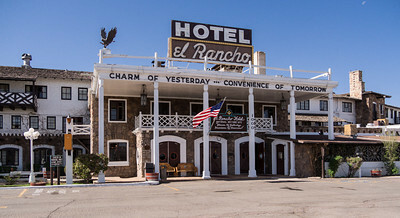 Exterior details of the historic El Rancho Hotel in Gallup, NM. 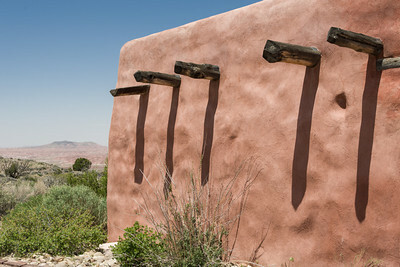 Detail of a building constructed of adobe in Painted Desert National Park. 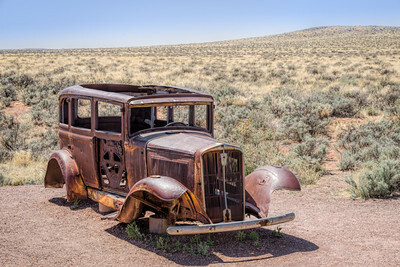 An abandoned and rusted automobile sits on display at the site of where Route 66 used to be in the Painted Desert & Petrified Forest National Park. 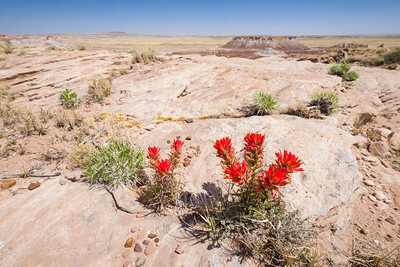 The Indian Paintbrush bloom in the spring in the Petrified Forest National Park. 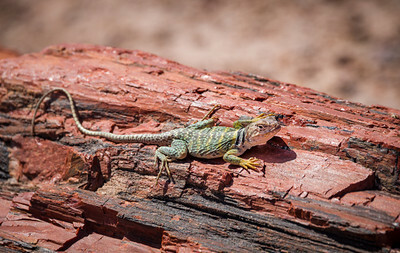 Collared lizard sits on a piece of petrified wood in Petrified Forest National Park.